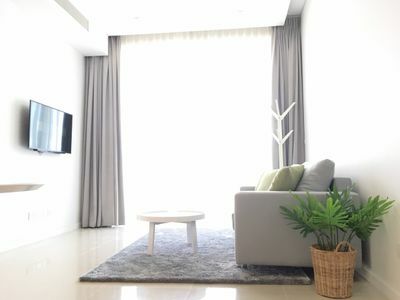 Tropic Garden located in the heart of Thao Dien Ward, District 2 – a well-known place for expats’ residence in Ho Chi Minh City. The area is very quiet, refreshing with a large river flowing around. Thao Dien is famous for its’ western community and living style with lots of shop, restaurant, and place to enjoy. 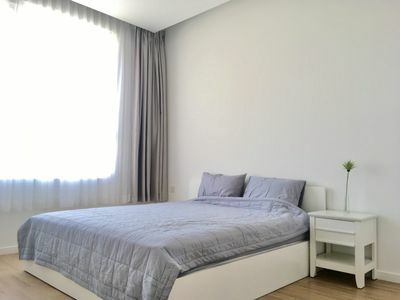 Although the place is full of expats, the living standard is very reasonable and is suitable for all family budgets. 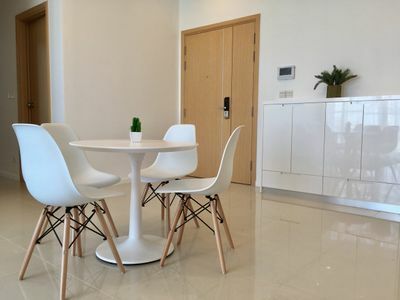 The very good thing is that this area is just 15 minutes away from the center of the city so that it is very convenient for people working in the District 1, 2 and Binh Thanh District. This apartment belongs to Tropic Garden, Thao Dien, where there are a lot of expats living and working there. It is furnished fully with TV, air conditioner, refrigerator, electric chimney, wi-fi, and more. 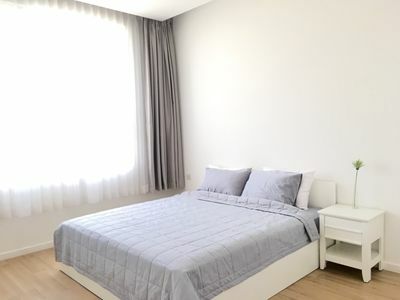 Also, there are two bedrooms which are suitable for you and your family, as well as a large balcony looking outside the Saigon river. This is definitely the new home you should choose to live in.